Elarabi M Attia , Ph.D.
Jan 1982- May 1987: Demonstrator at mechanical engineering department, Faculty of engineering, Alexandria University. Thesis Title: Dynamic behavior of a moving viscoelastic string. Area of specialization: Advanced dynamics, advanced mathematics, Mechanical vibrations, and Numerical methods for digital computation with FORTRAN. ●May 1987- June 1995: Teaching assistant, Mechanical engineering department, Alexandria University. Thesis Title: The Effect of hysteresis and air drag on the behavior of axially moving and laterally vibrating viscoelastic thread lines. Area of specialization: Advanced dynamic, advanced mathematics and Mechanical vibrations. ●June 1995 up to 2010: Lecturer, Mechanical engineering department, Faulty of Engineering, Alexandria University. ●Demonstrator: Mechanical engineering department, Faculty of engineering, Alexandria University, Egypt, 1982- 1987. ●Lecturer & Assistant professor: Mechanical engineering department, Faculty of engineering, Alexandria University Egypt, 1995 up till now. ●Lecturer: Arab Academy for Maritime and Marine Transport, Mechanical Engineering Department, Alexandria, 1996 up till now. ●Lecturer: High Technical Institute in Arab Academy for Maritime and Marine Transport, 2006 up till now. ●Lecturer: Air defense college, Alexandria, Egypt. 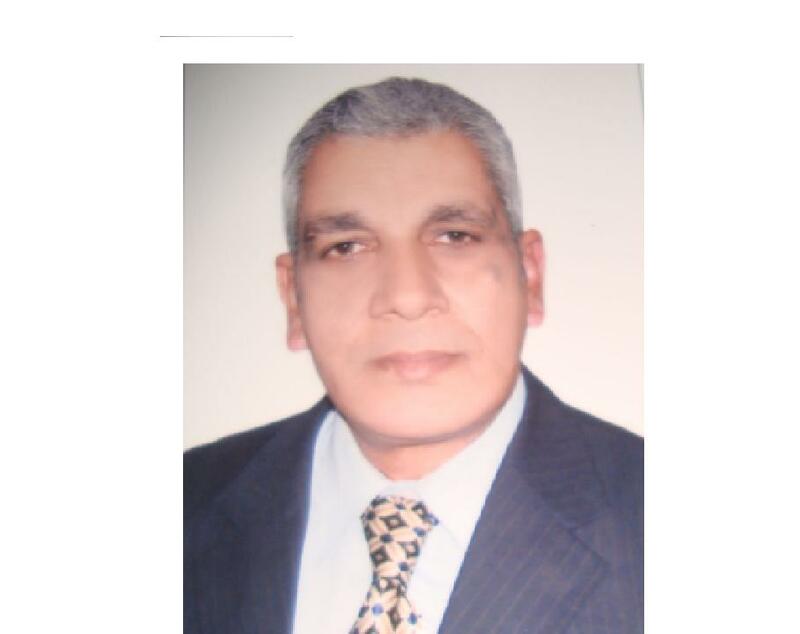 ●Lecturer: Faculty of agriculture, Alexandria University. ●Lecturer: Faculty of education, Industrial department, 1996, 2002, 2004. ●Visiting lecturer: Faculty of Engineering, Beirut Arab University, 2003. ●Visiting lecturer: Faculty of engineering, Beirut Arab University, 2008. ●Visiting lecturer: Faculty of engineering, Beirut Arab University, 2009. ●Visiting lecturer: Faculty of engineering, Beirut Arab University, 2010. ●Summer Training: Cars Company, Austria, 1979. ●Price Estimation of Heavy-Duty Equipment and Cranes for Alexandria National Marina,.2000. ●Examination the Validity of package machine for oils Company for Alexandria Prime Court, 2009. ● ion and Composing of Technical Specifications for elevator of Alexandria woman developing center 2012. E. M. Attia, M. F. Mohamed, N.A. Maharem,, "Effect of road excitation on the vehicle vibrations suspended by electro -rheological damper," , International Review of Mechanical Engineering IREME, Praise Worthy Prize S.r.L Naples ,Vol.7, No.3 March 2013, PP (529 –537) , 2013. -Kaled M Abdo, E.M.Attia ,E.Saber and H.El Gamal,, "Flow induced vibrations in journal bearings for high speed rotating machinery , " , European Journal of Scientific Research , ejsr, January ,2011 Vol.49 No.1 ,pp. 73-86. , 2011. B.M.Badawi, S.F.Rezeka, Attia E.M, T.Awad, "Fuzzy Logic Control of Air Combat Maneuver ICARAME 2011 International Conference on Advanced Research and Applications in Mechanical Engineering (ICARAME'11) to be held at Notre Dame University (Lebanon) from June 13 to 15, 2011." , ICARAME 2011 International Conference on Advanced Research and Applications in Mechanical Engineering (ICARAME'11) to be held at Notre Dame University (Lebanon) from June 13 to 15, 2011. , 2011. B.M.Badawi, S.F.Rezeka, Attia E.M, T.Awad,, "Tracking of F-16 Aircraft Trajectories using Fuzzy Logic System," , International Review of Airo space Engineering IREASE, December, 2010 (Vol. 3 N. 6) pp. 314-324 , 2010. A.M. El Arabi, M.T. Khaled, A.H. Taher and G.M. Adel,, "A Comprehensive Three Dimensional Dynamic Model of the Human Elbow Joint " , , International Review of Physics ,IREPHY, Praise Worthy Prize S.r.L Naples ,Vol.3, No.2, April 2009, PP (143 –148) , 2009. El Arabi M.Mahmoud, "Mathematical Model for Artifial Leg using Electro -Rheological ( ER ) Fluid Damper, Journal of Engineering Sciences ," , Journal of Engineering Sciences,Vol.36.No.2,pp.387-401, March 2008 . , 2008. Metwally H.M , Morsi E and Badway M.H.,, "Vibration Behavior of the Rotor with Transverse Crack and Some Comments on Crack Detection," , (13th) International Conference on Applied Mechanics and Mechanical Engineering, Military Technical Collage , kobry El Kobbah ,Cairo, Egypt, 27-29 May, 2008 ,pp. (DV12-DV22), , 2008. T. H. Awad, A.A. Helmy El. M.Attia and T.W.CrosbY, "Missile Homing Guidance Using Neural Networeks," , 5 th, International Engineering Conference 27-31 , Al Mansoura and Sharm El Sheikh, Egypt, pp (M231-M237). , 2006. M.N. Abouelwafaو A.Gamaa, A.Hamdy, E.Morsi and M.Naser,, "The Effect of Mean Stress on the Fatigue Behavior of Woven Roving GFRP Subjected to Torsional Moments, " , AEJ, Faculty of Engineering, Alexandria University, Vol. 44, No. 1 , 2005. M.N.Abouelwafa. A.Gamaa, A.Hamdy, E.Morsi and M.Naser, "Validity of the SWT Parameter for Woven – Roving GFRP Subjected to Torsional Bending Moments, " , AEJ. Faculty of Engineering, Alexandria University, Vol. 44, No.2, , 2005. Saber E.S and E.M.Attia ,, "Oscillation -Induced Steady Streaming in Labyrinth Seals with Linear Motion " , ,Scientific Bulletin, Part III, Mechanical Engineering and Physics &Mathematics , Ain Shams University, Faculty of Engineering , Vol. 40 No. 1 , pp (833- 842) , 2005. A.Saeed, E.M.Attia, A.A.Helmy, and Awad, "Design of a Neuro – Autopilot Maneuvering Controller for an Under Actuated Ships, " , AEJ., Faculty of Engineering, Alexandria University, Vol. 44, No. 4 , 2005. A.Saeed, E.M.Attia, A.A.Helmy, and Awad,, "control of under actuated ship maneuvers using neural gain compensators ," , international mechanical engineering congress and exposition, proceedings of IMECE2005, , 2005. M.Naser ,M.N. Abouelwafa. A.Gamaa, A.Hamdy, and E.Morsi, "A New Failure Criterion for Woven-Roving Fibrous Composites Subjected to Tension-Compression Local Plane Stresses With Different Stress Ratios, " , ASME, Journalof Engineering Materials and Technology, Volume 127, Issue 1, 130 (6 pages). , 2005. El. Morsi, Saber, Slash, "A Theoretical Model for Leakage through a Labyrinth Seal" , Vol.6, No.1, PP, 242 –259. , 2002. EL.Morsi, M.A. Moustafa, T.H. Awad, and H. A.ELGamal,, "The Influence of Oscillating End on Vibrating Viscoelastic Strings, " , The Eighth International Conference for Mechanical Power Engineering, Vol.4. 27-29 April 1993, , 1993. EL.Morsi, M.A. Moustafa, T.H. Awad, and H. A.ELGamal,, "The Effect of Hysteresis and Air Drag on Behavior of Axially Moving and Laterally Vibrating Viscoelastic Thread Lines, " , AMSE.,Modeling Measurements&Control B,Vol.49 No.3,1993, pp. 15-37. , 1993.